Generous, open plan design distinguishes the Yarra 24. Featuring multiple recreational and dining areas, residents will enjoy the luxury of space and room for socialising. For entertainers, this home provides an alfresco dining area, large living and dining area with open kitchen and a separate theatre room for relaxed movie nights. The master bedroom is generously sized, as is the ensuite and walk-in-wardrobe. 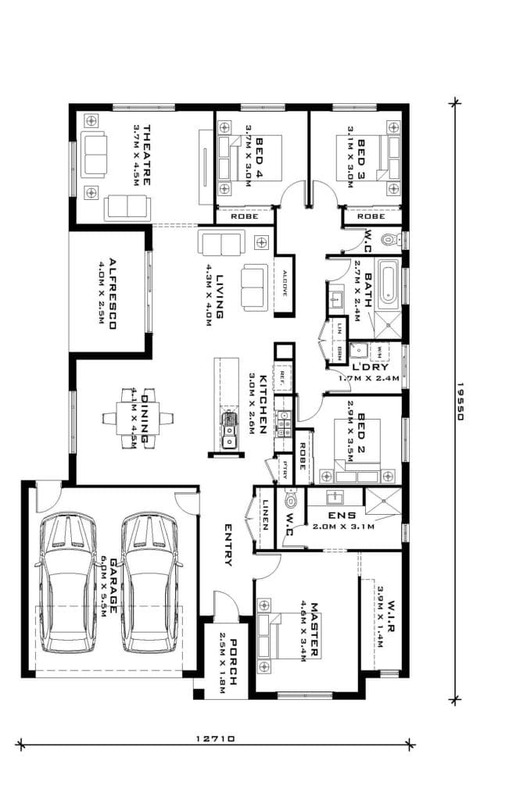 Three additional bedrooms provide each member of the family their own private retreat.